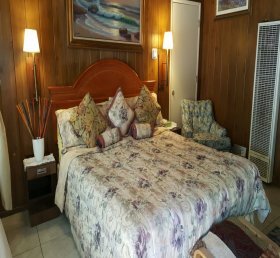 Our Poolside Rooms sleep up to 2 and have a California King bed. 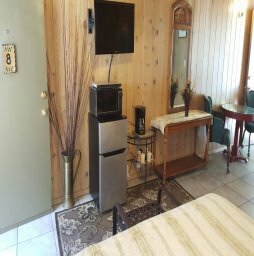 Each room includes a microwave and mini refrigerator, Table and Cozy Loveseat and an LCD-HD TV with cable and a DVD player. 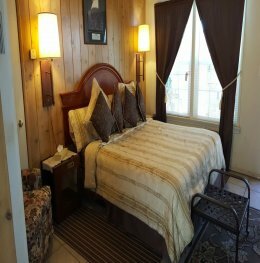 Other amenities include a ceiling fan, air conditioning, and free Wi-Fi access. Rooms 8 and 9 have high T&G beamed ceilings. Room 9 may also be connected with the Poolside Deluxe Room 10.